Our smile can say a lot about the appearance of our teeth and how we take care of them. Poor dental hygiene, enamel erosion, certain foods and drinks, and even smoking can dull and discolor your teeth. If not careful, your teeth can be permanently damaged and stained when you do not give them the proper care they need. Yellow or brownish looking teeth can leave many people feeling embarrassed and self-conscious about their mouth when going out on the town or getting ready for a date. Having your dentist perform teeth whitening treatments has many benefits, including restoring a healthy and beautiful smile. However, before you decide to have your teeth whitened, here is some helpful information you should know regarding this treatment. Teeth whitening products come in many different forms and can be administered in a variety of ways. Some methods involve lasers or bleaching your teeth to remove deep stains as well as surface stains using peroxides. Non-bleaching products only remove surface stains through physical and chemical reactions. There are also at-home whitening treatments for patients who prefer a more gradual and less time-consuming process. Whichever treatment you choose, teeth whitening can help you brighten your pearly whites so you can achieve a more dazzling smile. The degree of pain, discomfort, and tooth sensitivity during teeth whitening will all depend on the type of technique you decide to undergo. It will also be based on the quality of which bleaching products will be used and the way your teeth respond during your treatment. While some people may experience tooth sensitivity following their teeth whitening treatment, this is only temporary and nothing to be concerned about. During your consultation, Dr. Sands takes all the necessary precautions to ensure that you have the most comfortable experience possible, and to determine which treatment will best suit your needs. Can It Damage My Teeth? With the increase in teeth whitening treatments, many people have wondered if it can cause damage to their teeth. Fortunately, most whitening methods do not cause any permanent damage to tooth enamel or the structures of your teeth. Studies have also shown that products containing at least 10 percent of carbamide peroxide have little to no effect on the tooth enamel surface and do not cause damage to existing fillings. However, the American Dental Association (ADA) recommends that consumers go in for a dental consultation before considering whitening. The American Academy of Cosmetic Dentistry (AACD) also considers teeth whitening a dental service that should be delivered by educated dental professionals to avoid potential issues that may occur. ZOOM! Teeth Whitening is a non-invasive laser procedure that uses a special buffer that will leave your teeth looking shiny and clean after just one session. During your treatment, the device will bleach the surface of your teeth while doing little to the deeper nerves, and any minor discomfort can be easily treated with over-the-counter pain medications. Your gums and soft tissues are also covered with a protective gel coating so that they are not irritated during your treatment. ZOOM! 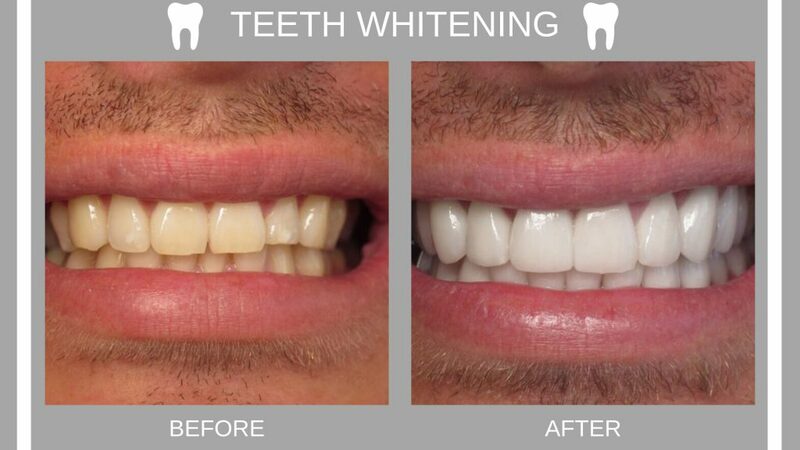 Teeth Whitening can brighten your teeth up to eight shades brighter and results can last up to 18 months. Bleach whitening, which is typically used in laser teeth whitening, can cause sensitivity in the early stages of your treatment when the hydrogen peroxide penetrates the tooth enamel. This sensitivity is usually temporary and will stop after your treatment. Even so, several precautions will be taken to prevent any discomfort. If your teeth are particularly sensitive, Dr. Sands will recommend using a lower concentration of whitening gel as well as apply a desensitizing treatment before your session. However, if your teeth are too sensitive to undergo bleach whitening, you may be asked to come back another day for a different treatment or a gel and toothpaste for sensitive teeth will be prescribed to you. Many patients with a busy schedule who do not have the time to come in for an appointment may prefer over-the-counter products they can use at home. 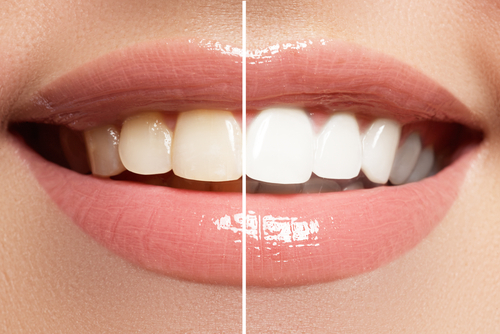 Home whitening treatments can seem more affordable and practical than visiting your dentist. In general, each product comes with its own guidelines and should be carefully followed to obtain optimal results. However, Dr. Sands would recommend that you schedule a consultation with a qualified dentist before whitening. This will determine if there are any other dental issues that any need to be addressed before whitening your teeth. He also suggests that patients interested in in-home whitening products should only be used to “touch up” your teeth after having undergone an in-office teeth whitening treatment. To learn more about our teeth whitening cost and options, please feel free to call our office at (310) 273-0111, or you may schedule an appointment with us online today! This entry was posted on Friday, March 1st, 2019 at 11:55 am	and is filed under Teeth Whitening. You can follow any responses to this entry through the RSS 2.0 feed. Both comments and pings are currently closed.